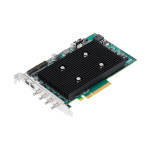 The Matrox Rapixo CXP supports CoaXPress 2.0, with aquisition rates of 6.25 Gbps up to 12.5 Gbps. The CXP links are accessed through high-density BNC connectors allowing for a homogenous interconnection with new cameras. The Matrox Rapixo CXP features four connections for interfacing to independent cameras as well as for handling higher data rates through connection aggregation. 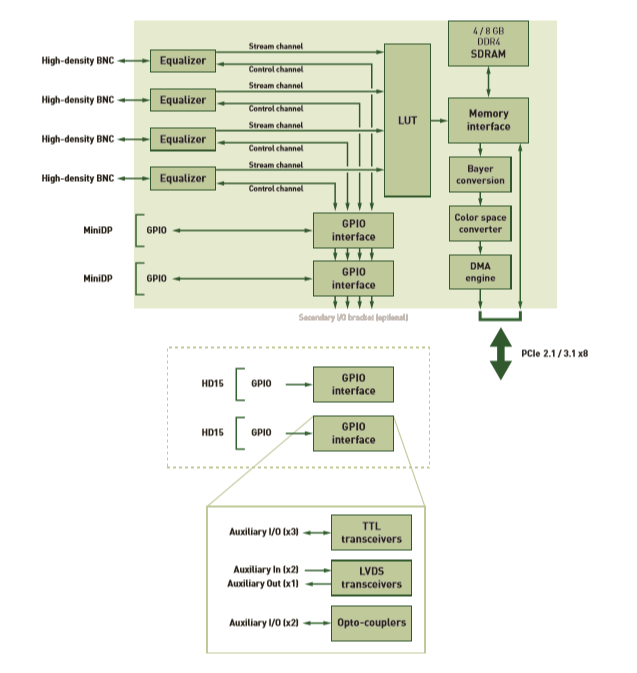 Optional Xilinx Kintex Ultrascale KU035 FPGA, with active heatsink (fansink).